Maybe you don’t have room for an acoustic piano. Or maybe you’re a new piano student who isn’t ready to commit to buying a full-sized piano. Whatever your reason, you can rest assured that a digital piano is a reliable alternative. Because of their weighted keys and full-sized keyboards, digital pianos offer great sound and expression, and they’re easier to store. In the following guest post, Jason Antoon of Digital Piano Expert shares his top three picks for digital pianos in 2018. Choosing the right equipment can improve your performance, support your development as a musician, and equip you to face challenges in your study. Digital pianos are no exception. Since choosing a digital piano means trying to imitate the natural sound and feel of an acoustic piano, be on the lookout for sound quality and a natural feel when touching the keys. different sounds, such as electric piano, strings, synthesizer, etc. Read more about useful features of a digital piano. Choose a piano that is suitable for your level, but also decide if you’ll eventually need to upgrade. Students who plan to become professional pianists, or who are in it for the long haul, should choose a model that can be upgraded. In order of least expensive to most, here are my top 3 picks for digital pianos in 2018. Most professional digital pianos from Yamaha have the same features. Nevertheless, this model is not like the rest since it has outstanding sound quality, especially when it comes to the lower range of the keys. If you are particularly interested in sound quality, opt for this product. The cost is reasonable considering its features. The tri-sensors scale hammered technology improves keyboard action on this piano, transforming it into a real competitor for the Yamaha models. The piano is provided with three sensitivity levels, which means that it receives even the slightest commands. The piano keys are made of simulated ebony and ivory design, offering an incredible feel. Featuring three sensors, this piano offers you the opportunity to memorize and register your performance with great accuracy and speed. It has 256 polyphony notes and 18 tones. You can select the tones to establish your ideal style and sound. Furthermore, it features 10 philharmonic audio recordings to help you improve your practice. This piano is perfect for a stage piano performance. Compared to previous models, it has better sample memory which enables users to test more songs. The piano features a new processor which has the most incredible sound effects, reverbs, and resonance, available only in stage pianos. The sounds are split into three distinct sounds, namely Sub, E. Piano, and Piano. Players can choose any of these sound sections while also including effects, volume fader, and reverb controls. Users can use tonal variations to verify four distinct voice categories. The action on this digital piano is extraordinary. Finding the right model can be tricky if you’re not prepared. Think about the sum you are willing to invest, how you are going to use it, and what features are most beneficial to you. Good luck finding the perfect digital piano for you! You might also be interested in these Digital Piano Expert resources, the 10 best digital pianos for beginners and for advanced pianists, and our own video guide, How to buy a piano. 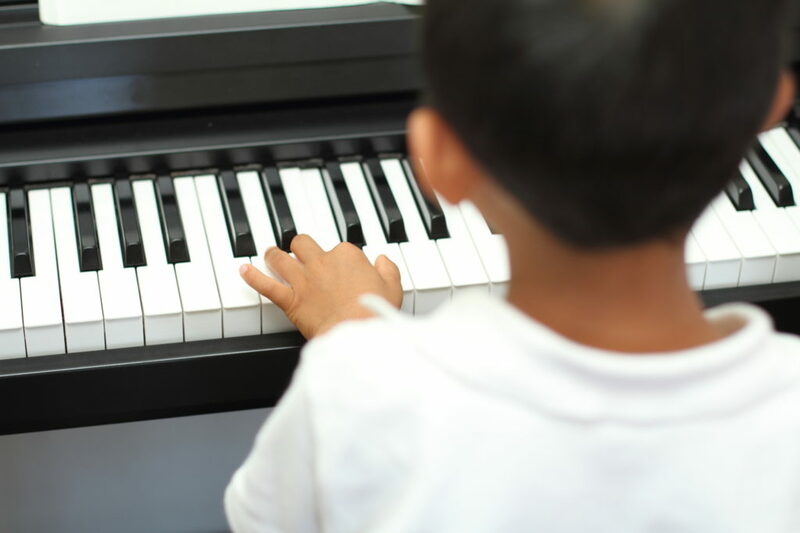 Can I Take Piano Lessons Without a Piano?